If technology is turning your world upside down, then consider the world of naval warfare during the Civil War. Innovation was the order of the day in both North and South as both sides rushed to build their respective navies. 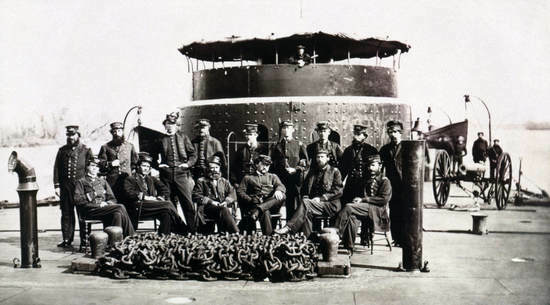 Over the four years of the Civil War, ships went from sail power to steam, from wooden hulls to iron, from solid shot weapons to shell. The navies had to design special vessels for the winding rivers of the West and for the swampy coastal waterways. They needed crews to use (and repair) the new technologies and they needed leaders who were risk-takers. This is the best possible way to learn leadership."